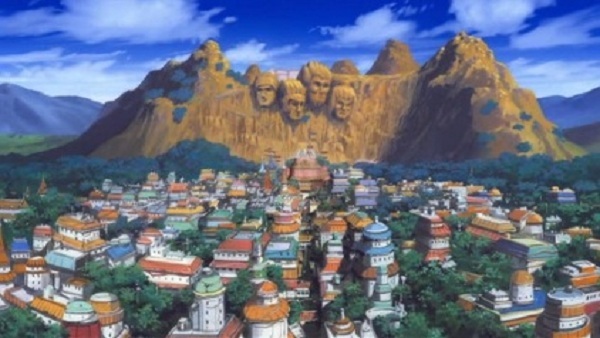 Naruto Uzumaki lives in Konohagakure, the Hidden Village of the Land of Fire. 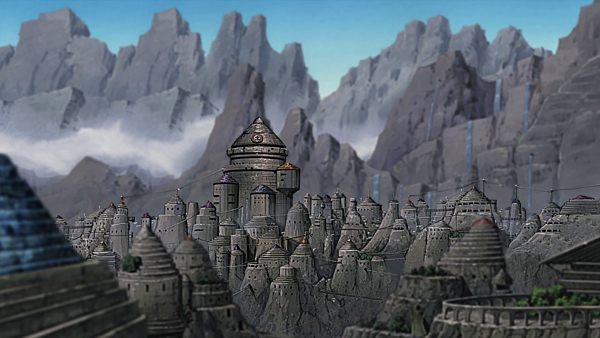 The Five Great Shinobi Villages are hidden from their enemies by the natural features of their surrounding terrain. Do you think you can find them on a map? 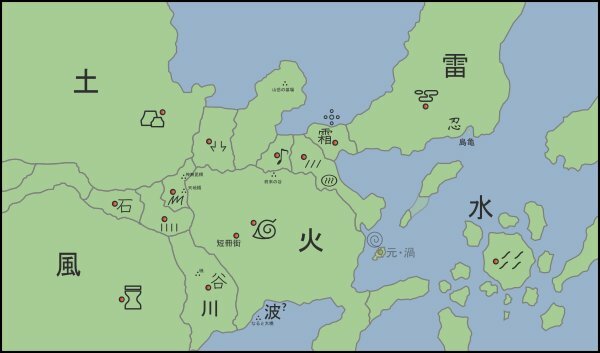 Read on to learn more about the geography of Naruto's world! Naruto is set in a world of intrigue and subterfuge, where the hidden villages all take great care to guard the secrets within their borders. Let's see what they're hiding on this map! 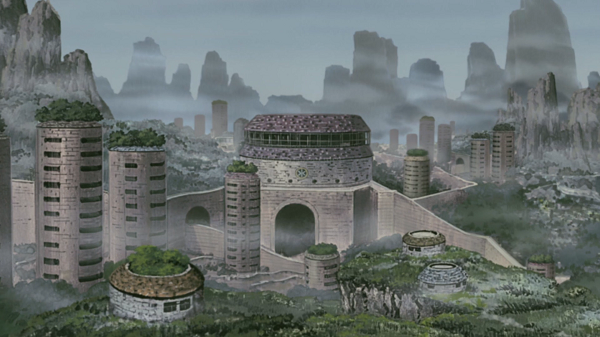 Naruto Uzumaki and his friends live in Konohagakure no Sato, or "Village Hidden in the Leaves". 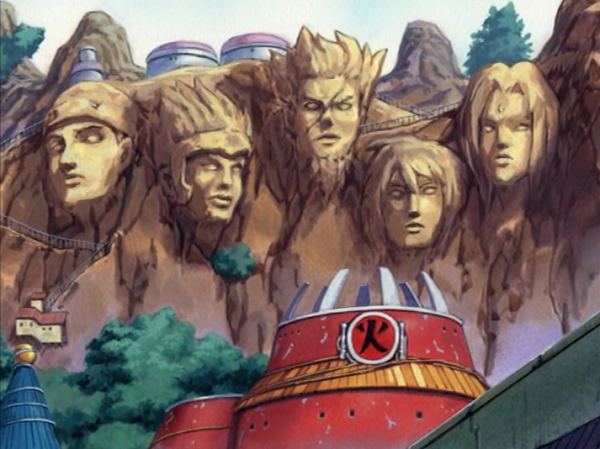 Konoha is located deep within a forest in the Land of Fire, at the base of a large mountain where the faces of all the Hokages are carved. 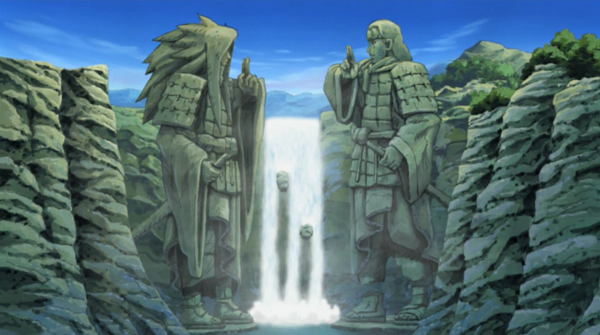 Marking the border between the Land of Fire and the Land of Sound, the Valley of the End is distinguished by two massive statues, representing the epic battle between Hashirama Senju, the first Hokage, and his rival Madara Uchiha, which was so destructive that it actually carved out the valley where their statues now stand. 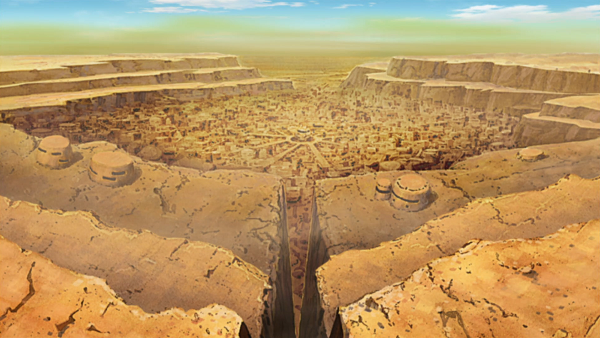 To the west of Konoha lies the Land of Wind, a dry desert country with a harsh climate. Its hidden village is Sunagakure no Sato, or "Village Hidden in the Sand". The vast desert surrounding Suna serves as a natural barrier against invasion. While a discouraging place for outsiders, the shinobi of Suna have adapted to their desert environment, and even utilize it for various jutsu. Gaara, the Kazekage, has the ability to manipulate sand. To the north of Suna lies the Land of Earth. A mountain range along its border creates a phenomenon called "rock rain": wind blows from the north over the mountains, carrying rocks from the Land of Earth to the countries south of its border. The Land of Earth's hidden village is Iwagakure no Sato, or "Village Hidden in the Stone". To the east of Iwa lies the Land of Lightning, so named for the frequency of its thunderstorms. Its hidden village is Kumogakure no Sato, or "Village Hidden in the Clouds", which is located high in the clouds of a lofty mountain in the center of the country. Island Turtle is a massive turtle that roams the Land of Lightning. 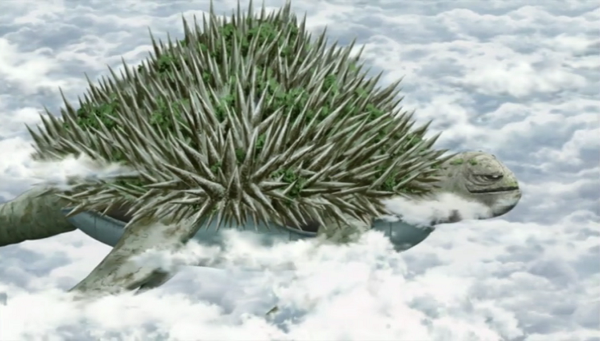 It's so large that it's basically a moving island, housing plants and animals (and shinobi, like Naruto, who wish to train there). A giant squid guards the Island Turtle with zeal. 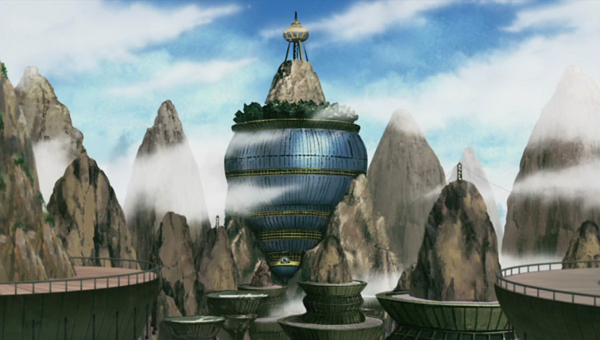 To the south of Kumo, and to the east of Konoha, lies the Land of Water, an archipelago composed of many islands. Its hidden village is Kirigakure no Sato, or "Village Hidden in the Mist". Kiri has a cool, misty climate, although some parts of the Land of Water are colder and receive snow. Now, can you find the Five Great Shinobi Villages on the map? Thanks for reading! Hope you enjoyed learning about Naruto's world!